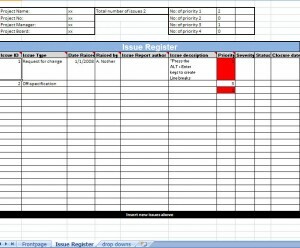 You can use a Prince2 Issue Log Excel Template to monitor issues and their priories. Download this incredible template from Microsoft from this page. The template is instantly downloadable and completely free courtesy of MyExcelTemplates.com! Stay on top of issues and tasks by using the Prince2 Issue Log Excel Template today!